Family Acupuncture wins for 3rd year in a row! 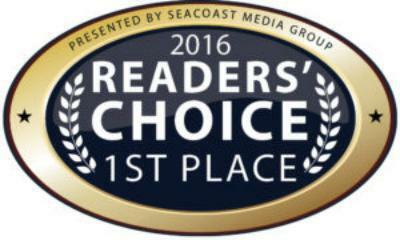 We are excited to announce that readers of SeacoastOnline.com and the newspapers of Seacoast Media Group (The Portsmouth Herald, The Exeter News-Letter, The Hampton Union, The York Weekly, The York County Coast Star) have once again awarded us with its Readers Choice Awards. We have won 1st Place in the “Best Acupuncture” for the 3rd year in a row. They have only been awarding this category for 3 years, and we are proud to have won the 1st Place Award every year since its inception. Our Massage Therapist, Amy Court was also a winner in the “Best Massage” category this year for the first time! This is very exciting, and is no small deal. She faced a tremendous amount of competition as there are many massage therapists in our area, and for Amy to win speaks volumes about the degree that her clients value the incredible service that she provides. We have been saying for years that she is one of Portsmouth’s “best kept secrets”–well it looks like the secret is now officially out. We are so happy to see that she is being honored. Everyone here at Family Acupuncture & Wellness would like to thank all of our patients and friends who voted for us this year. We are honored that you trust us with your care, and it means a lot to us that you feel pleased enough with our service to honor us with your vote.